Drop forged 5 position adjustment with toothed jaws. Jaw capacity is 85mm. Complete with pair of removable soft jaws. 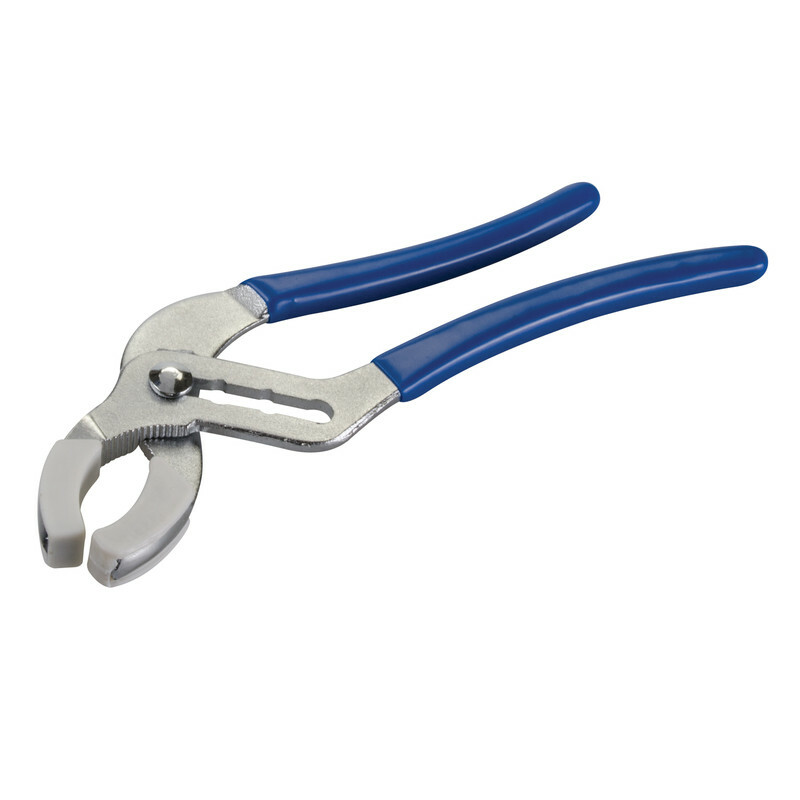 Wide Jaw Plumbing Pliers 9.5" (250mm) is rated 3.0 out of 5 by 9. Rated 2 out of 5 by chike from Not great quality Centre bolt too short meaning tool sometimes comes apart in use. No soft jaws supplied. Rated 4 out of 5 by Magicsnaps from Inexpensive but useful. I have to change a boiling tap filter every six months. It's not well designed and locks on. 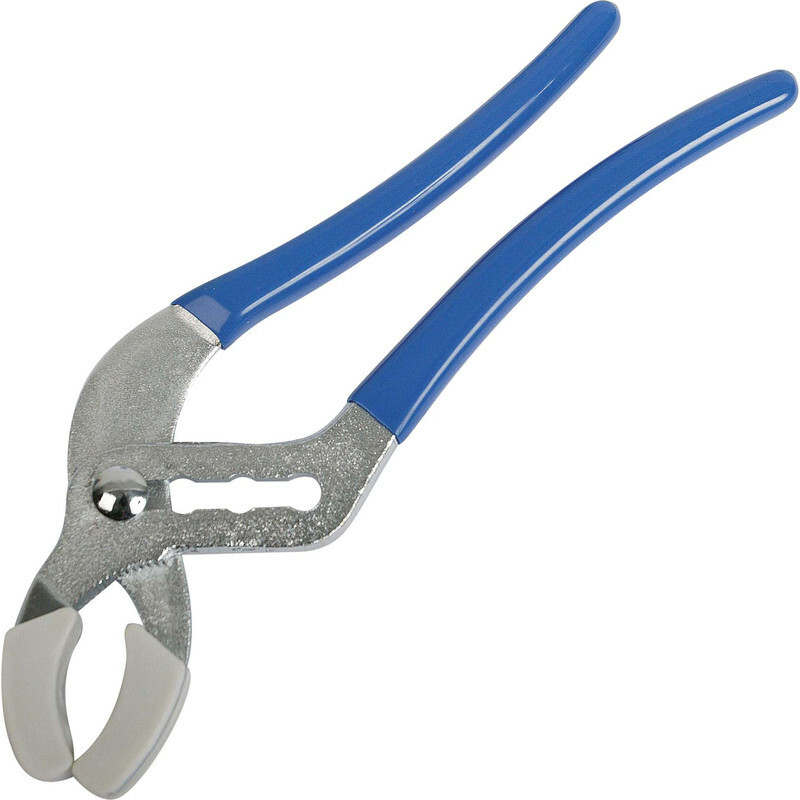 These pliers are ideal for removing the filter holder. Rated 5 out of 5 by Doug151 from Very good plumbing pliers This wide jaw plier is really useful and handy to have in the tool box. It is really good value. Rated 5 out of 5 by homeric from Great Value I bought this & it arrived promptly and was just as it said on the tin! Rated 1 out of 5 by stephenr from Waste of money Not man enough to work on larger fittings. About as much use as a chocolate teapot.